Sodium thiosulfate preconditioning (SIPC) was recently reported to be cardioprotective due to its ability to inhibit caspase-3 activation, chelate calcium ions and scavenge free radicals. However, the rationale behind its ability to improve the contractility of isolated rat heart challenged with ischemia-reperfusion injury (IR) is not well understood. As mitochondrial preservation is implicated in cardioprotection against IR, the present study was conceived to identify whether the cardioprotective effects of SIPC is associated with mitochondrial preservation. Using the isolated Langendorff rat heart model, 1 mM sodium thiosulfate (STS) was used to precondition the rat heart before IR and was used to study its effect on cardiac mitochondria. The IR heart experienced a ventricular contractile dysfunction that was improved by SIPC. Upon assessing in-gel the ATP synthetic capacity of mitochondria from IR heart, there was a significant decline, while in SIPC it was well preserved close to sham. 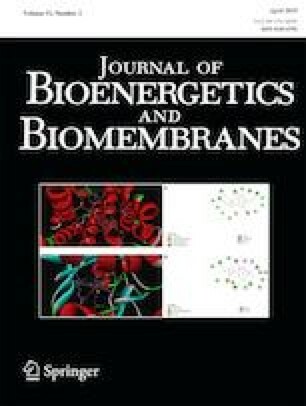 As a sustained flow of electrons through the ETC and well-integrated mitochondria are the prerequisites for ATP synthesis, SIPC improved the activities of ETC complex enzymes (I-IV), which was reflected from the preserved ultrastructure of the mitochondria as analyzed from electron-microscopy in the treated rat hearts. This observation was coherent with the elevated expression of PGC1α (20%), a critical regulator of ATP production, which increased the mitochondrial copy number as well in the STS treated heart compared to IR. In conclusion, mitochondria might be a critical target for SIPC mediated cardioprotection against IR. The online version of this article ( https://doi.org/10.1007/s10863-019-09794-8) contains supplementary material, which is available to authorized users. We would like to acknowledge the Indian Council of Medical Research (ICMR), New Delhi, India [No.5/4/1-14/12-NCD-II], for funding this research by providing a grant to Dr. Gino A. Kurian.